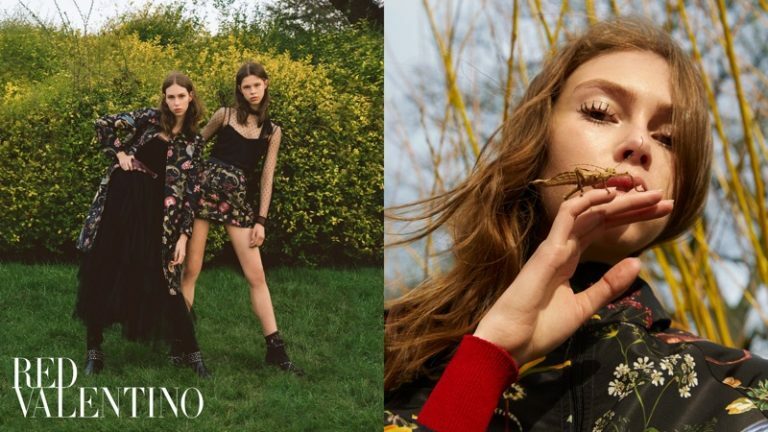 Heading back to England for another fashion shoot is high-end label RED Valentino, that brings forth its Pre-2018 Campaign. 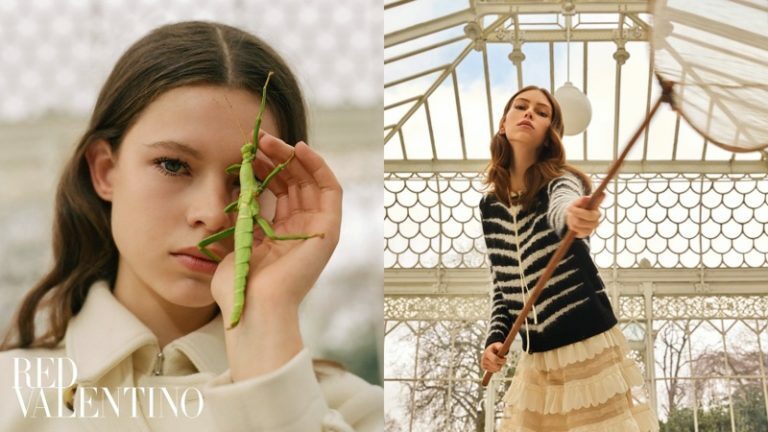 Starring models Lorena Maraschi and Iris Landstra, the campaign is shot at the Horniman Museum and Gardens in London. 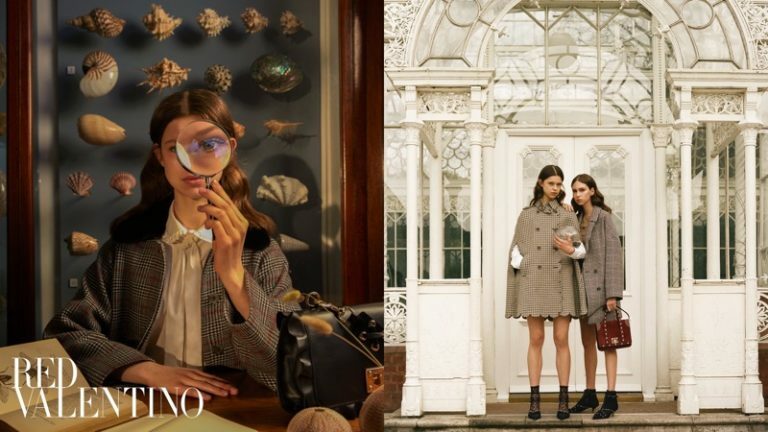 RED Valentino offers chic and stylish ensembles for the upcoming transitional season including floral embroidered designs and checkered prints. With a dark and intense colour palette for its clothing, RED Valentino also offers feminine accessories including studded boots and handbags.